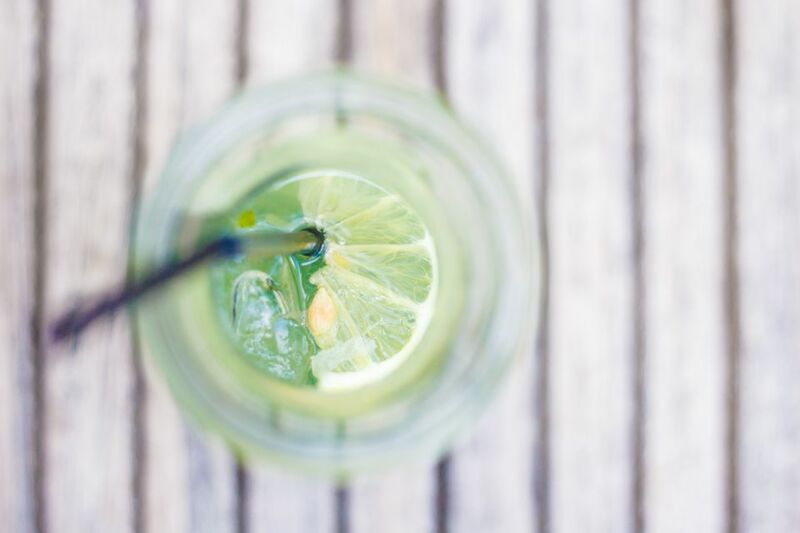 Limeade, like its sister lemonade, is an addictive summertime delicacy. Just add ice and sit on the porch for countless hours sipping away on this raw food treat. The addition of mint is a relentlessly delicious accompaniment. And in the summer months when mint is growing gangbusters, ​it's great to have ways to use it handfuls at a time. Raw agave nectar is sold in health food stores and is a great sweetener, especially for beverages. The raw varieties are conducive to a raw food diet. Blend the lemon juice, agave nectar, and mint leaves on high speed for 10 to 15 seconds or until the mint leaves are well blended. Pour into a pitcher and add 6 cups of the water. Keep adding water until it reaches your desired strength. Add 1 cup fresh strawberries, raspberries, or blackberries into the blender. Strain through a fine mesh strainer to remove the seeds. Add 1 teaspoon vanilla extract for a lovely twist.